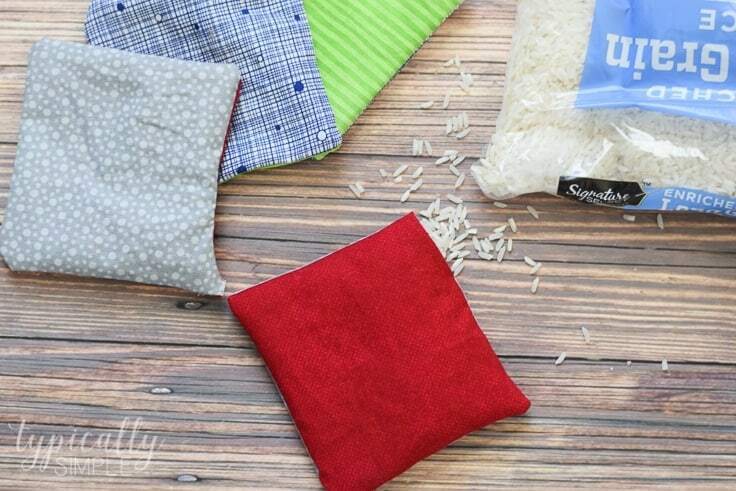 These DIY rice hand warmers are a great way to use up some fabric scraps! Plus it’s the perfect beginner’s sewing project for kids or adults! Hi there! 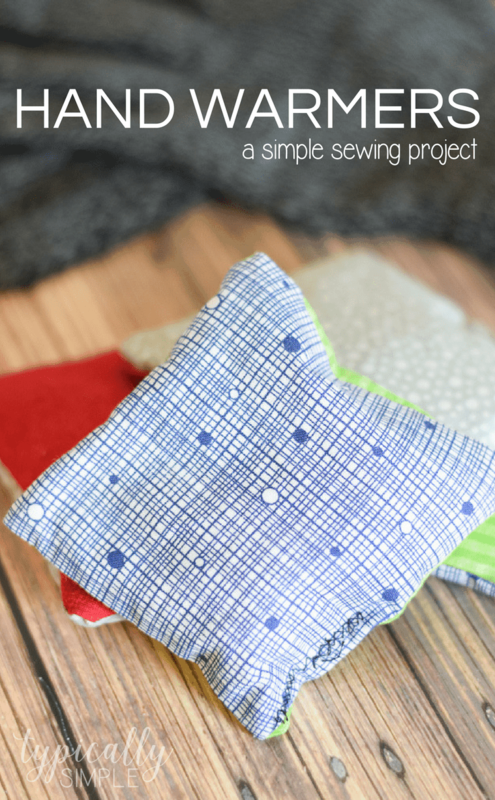 It’s Kelly from Typically Simple and I’m back with another simple sewing project idea, but this time for the sewing machine! Last month, I shared how to make a fun felt corner bookmark which was a perfect way to introduce hand-sewing to kids. 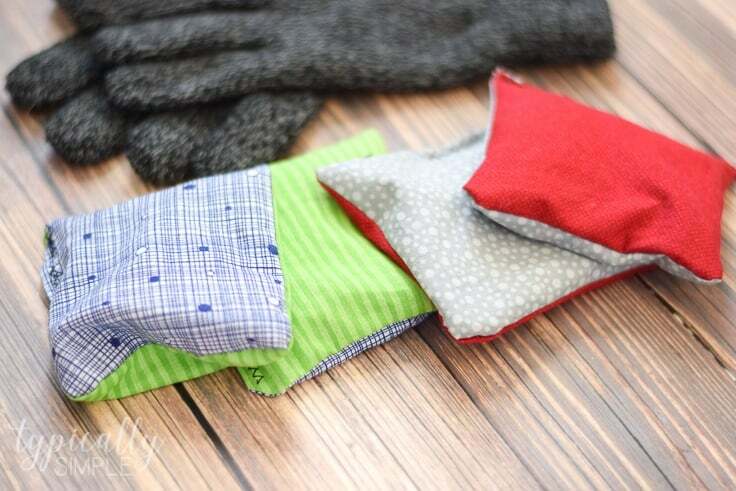 Well this time, I’m going to share how to make rice hand warmers which is a great way to help kids start to feel comfortable using the sewing machine because it’s just all straight lines. 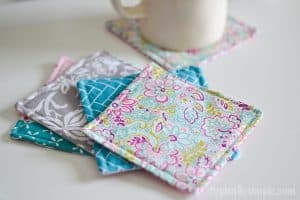 And if you are anything like me and keep all of your fabric scraps “just in case” then this project will help you start to get rid of those! Cut two pieces of fabric into squares, I made mine about 3.5 inches square. Place right sides together and sew around three sides. Continue sewing the fourth side, but stop about an inch away from the edge. This is the hole you will use to fill with rice. Snip off any extra thread and turn the hand warmers right side out. Using a funnel, fill the bags about 1/2 – 3/4 full of rice. Close up the opening by either sewing it on the machine or using a quick whip stitch. Pop the hand warmers into the microwave for about 15-20 seconds and that’s it! These would make a great handmade gift to give with a pair of warm gloves, or as a cute stocking stuffer! 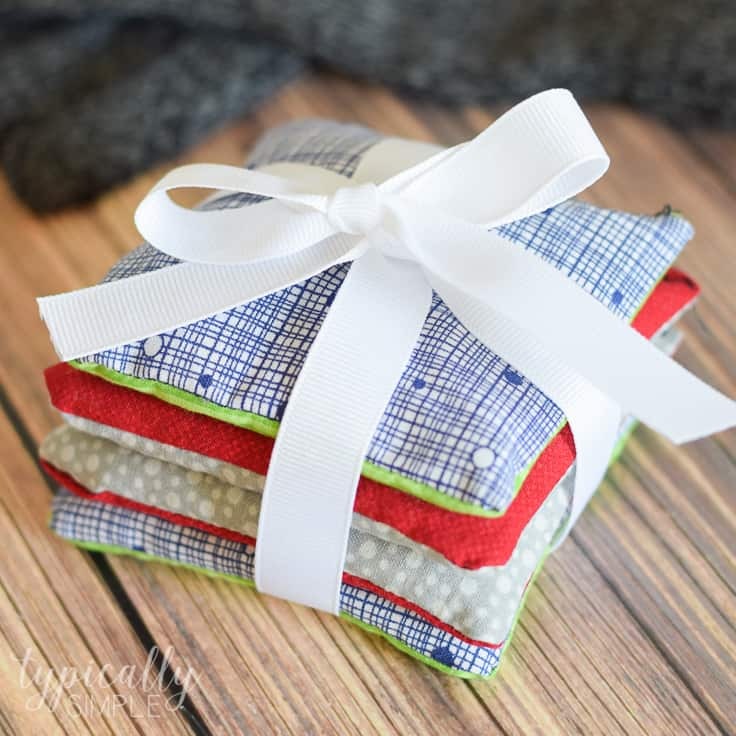 And using some flannel scraps would make these rice hand warmers extra cozy! 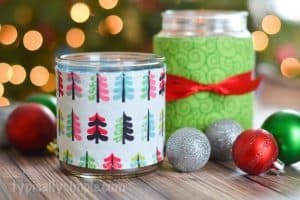 Pam from The Birch Cottage created printable labels for handmade hand warmers to make giving these easy for you. Here are a few more fun sewing ideas! 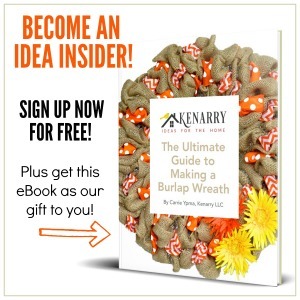 While you’re here at Kenarry, be sure to check out these handmade lavender sachets, this DIY Lap Desk, these DIY burlap coasters and this tutorial for how to make a pillow from extra fabric. 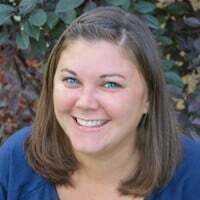 With a passion for teaching, crafting, and photography, Kelly created a blog that weaves them all together. From easy dinner recipes to quick DIY projects, Typically Simple provides creative inspiration for cooking and baking, crafting with kids, home decor, organization and more. A classroom teacher for seven years, Kelly now stays at home with her very energetic little boy. Armed with her hot glue gun and a cup of coffee, she enjoys working on craft and DIY projects during nap-time. You might also find her taste-testing new recipes in the kitchen! That’s a great question that I haven’t encountered before so I did a little research. I found mixed reports about whether you need to use all-cotton thread or if a poly-blend thread is okay. Many internet reports I read said people used poly-blend thread with no issues. However, to be on the safe side, I’d recommend using cotton thread and fabric. Either way, you should only heat it for about 15-20 seconds at a time and stay in close proximity to your microwave while it’s heating the rice hand warmer. Never leave it unattended. Good luck with your project and happy crafting! How long do these stay warm for? Rice hand warmers like this will stay warm for at least 15-20 minutes. Give it a try and let us know how long yours stay toasty! hi, how many times can you use this? will it reheat without damage? That’s a great question! These are definitely reusable, and can be reheated over and over again. However we haven’t tested them for a specific number of times.